Individuals involved in a car accident in Waco, Texas have several options for obtaining a copy of your car accident report. Car accident reports can be a crucial piece of evidence that your Texas injury lawyer can use to maximize your settlement following a car accident. 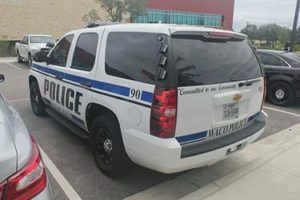 The accident report is filed by the Waco Police Police Department that responded to your accident and is typically available shortly after the accident occurred. For those interested in obtaining a Waco car accident report, there are a few different methods of doing so. Just provide the details of your accident, and we’ll track down your Waco car accident report and email it to you. Citizens can go to the Waco Police Department Headquarters to order a Waco car accident report in person. The Waco Police Department Headquarters is located at 3115 Pine Ave, Waco, TX 76708 (get directions). In addition, it would be a good idea to provide as much information as possible pertaining to the car accident (name, location accident occurred, case number, etc.). Waco accident reports cost $6 if purchased from the Waco Police Department. Perhaps the most convenient way to obtain a copy of a crash report is online. The Waco Police Department partners with third-party websites to obtain copies of the accident report. You can order a copy of the accident report through Crashdocs from Carfax. It’s simple, provide your name, a current email address, driver’s names involved, date the accident occurred, and the report number. Although Carfax reports are the same price of $6, they can take several days before you obtain a copy of the accident report. Ordering an accident report through PoliceReports costs $11, and reports typically become available within 24 hours. PoliceReports crash reports can be found here. If there was not a Waco Police officer present at the time of the accident and you did not receive a car accident report. You will need to acquire a copy of a CR-2 Form. This document will serve as your Waco, TX accident report and shoudl be retained for your records.